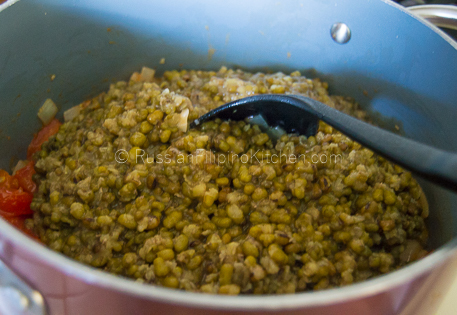 Green mung beans or munggo (alternate spelling: monggo) is considered “poor man’s meat” in the Philippines. 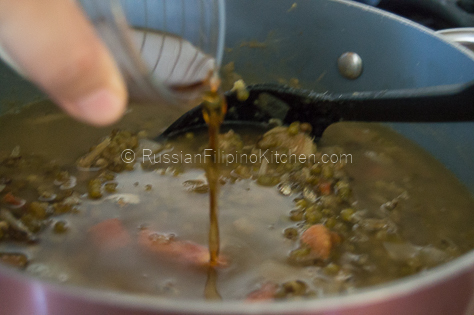 Because meat is more expensive, most Filipinos resort to preparing mung bean dishes as main source of protein, usually served with rice and vegetables on the side. 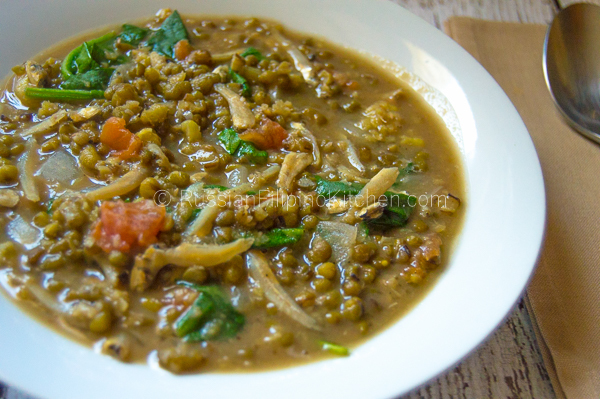 Munggos are rich in protein, dietary fiber, and minerals. It is a good source of protein for people who are following a plant-based diet. The beans are boiled first till tender and puffed up. Then more ingredients and seasonings are added to create the preferred dish. 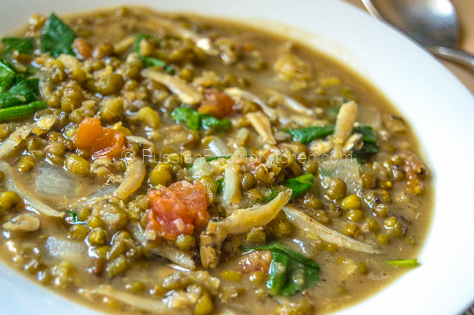 I grew up eating mung beans and few of my favorites include ginisang munggo with pork or chicharon, mung beans with coconut milk, monggo hopia, munggo ice candy, and this sautéed mung beans with dried anchovies (dilis) that I am going to share with you. 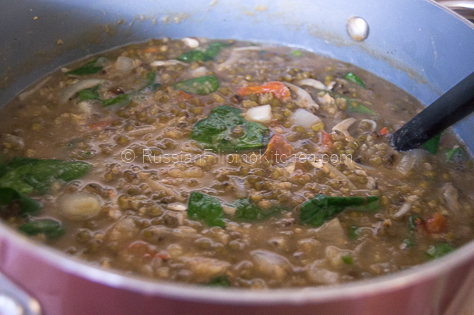 This recipe typically uses malunggay (moringa) leaves but I had to substitute with fresh spinach since fresh malunggay isn’t accessible where I live. Back home in Philippines, my parents grew malunggay trees in our property along with other vegetables that can easily grow in our backyard. Only now in contemplation that I realize how lucky they are to have fresh vegetables and ingredients all year round. Salted dried fish are often used in Philippine cooking to add flavor to soups or stews. While they can be grilled or fried by itself and eaten with plain rice, they also make great “subak” to recipes that don’t need the overpowering flavor of salted fish. 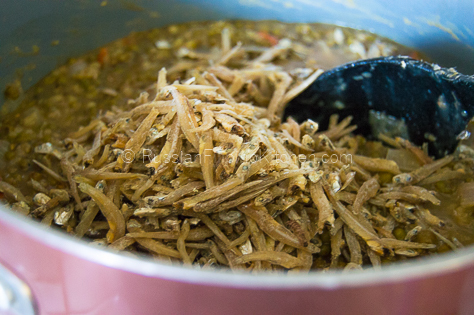 This recipe uses salted dried anchovies popularly known as “dilis” among Tagalog-speaking folks or “bolinaw” among the Visayan people. This munggo dish is meant to be eaten with rice, so be aware that it tends to be a little “salty” for those unfamiliar with the dish. However, you can always adjust the seasonings if you plan to eat it by itself. 1. Heat a big pot over medium high heat and add the oil. 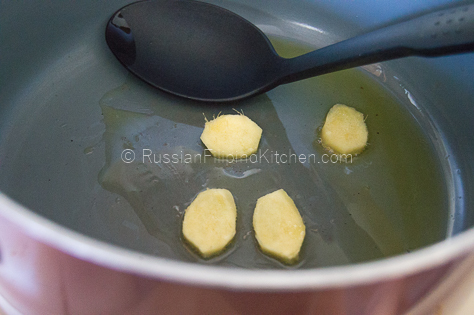 Saute ginger till fragrant, about 2 minutes. 2. Add the onions and garlic and sauté till onions are translucent and garlic has browned a little, about a minute. 3. 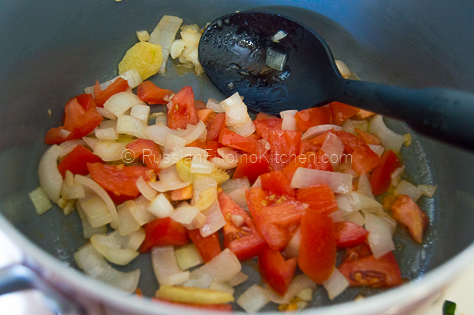 Throw in the diced tomatoes and sauté until slightly limp, about 2 minutes. 4. 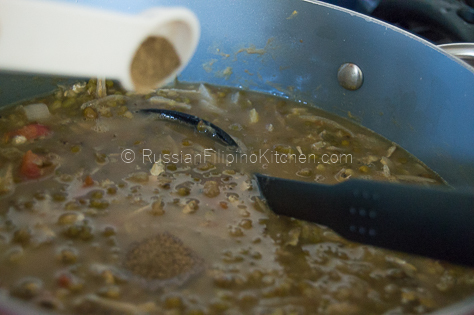 Add in pre-boiled mung beans followed by the dried anchovies. Stir. 5. Add water, fish sauce, salt, and pepper, then stir to mix everything. 6. Bring to a boil, turn down heat to medium low, then simmer for 5 minutes uncovered. 7. 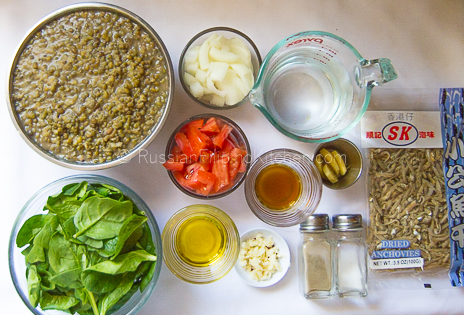 Add spinach, stir to mix, then turn off stove. Cover until ready to serve. Heat a big pot over medium high heat and add the oil. Saute ginger till fragrant, about 2 minutes. 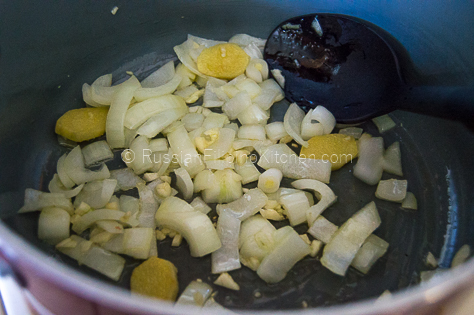 Add the onions and garlic and sauté till onions are translucent and garlic has browned a little, about a minute. Throw in the diced tomatoes and sauté until slightly limp, about 2 minutes. 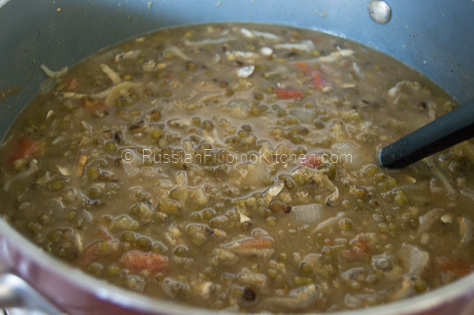 Add in pre-boiled mung beans followed by the dried anchovies. Stir. Add water, fish sauce, salt, and pepper, then stir to mix everything. Bring to a boil, turn down heat to medium low, then simmer for 5 minutes uncovered. 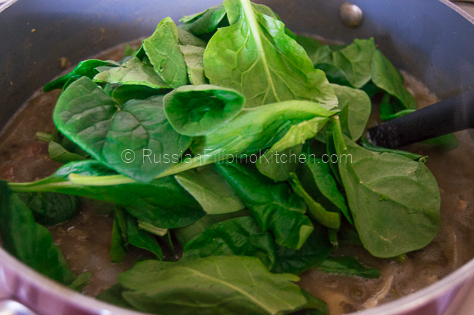 Add spinach, stir to mix, then turn off stove. Cover until ready to serve.